There is a new wine gadget on the market vying for your attention. 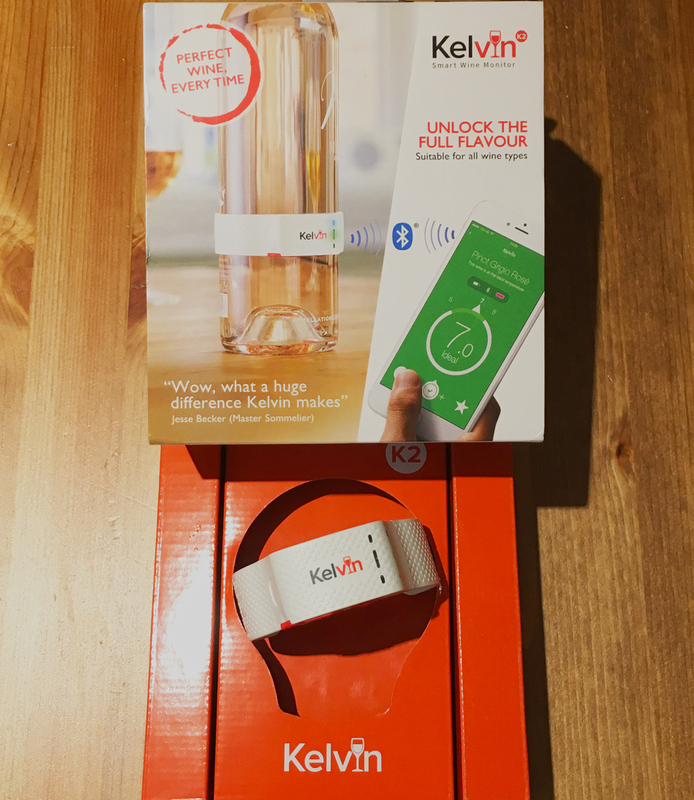 According to their website, ‘The Kelvin K2 Smart wine thermometer has been designed to demystify the process of enjoying your wine with its best possible flavour.’ It does this by giving you guidance on the best serving temperature for your wine and, most importantly, whether your bottle is at this temperature. It will keep track of the temperature of your bottle of wine, plus it will let you know by a handy notification to your phone that it is ready. Simple, yet effective. 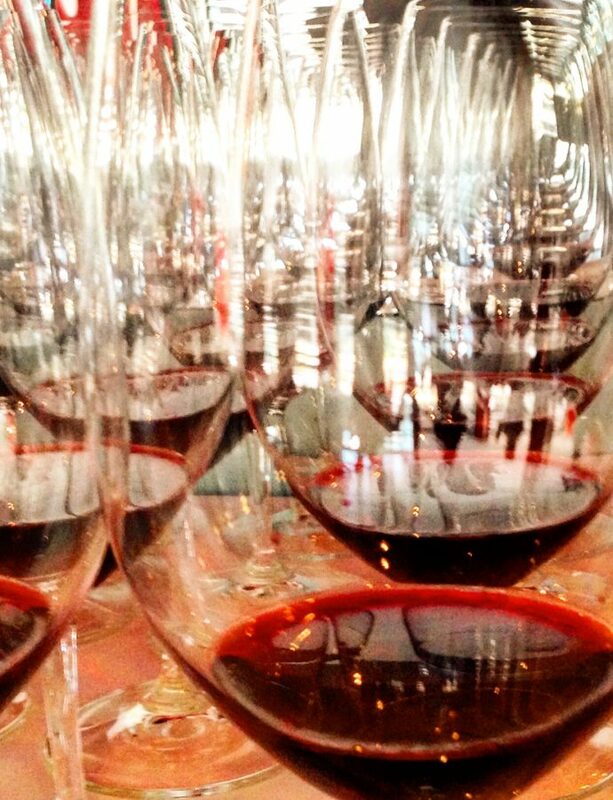 Serving temperature is often something that is misunderstood, particularly in warmer climates where ‘room temperature’ is actually too warm for serving red wines and fine white wines are frequently imbibed too cold. I have used a wine bottle thermometer before and been less than impressed. Albeit, it was a simple and cheap one. It never really worked well and was always giving a warmer reading than was accurate. So, I was interested to see if this one delivered on its promise. I unpacked the Kelvin and got it charged up with a sense of excitement. After all, this device is supposed to make sure that my wine experience was dramatically enhanced. I had a friend coming over, so I wanted to open a bottle of Non-vintage Champagne so I put the wine in the fridge and got the Kelvin up and running. The first thing I noticed was that I could not find sparkling wine of any kind on the basic selection menu. I then searched for Champagne (either vintage or non-vintage) as an option in the search field and there was no recommendations for Champagne or any sparkling wine that I could find. Now, as a wine educator, I am very aware of the correct temperature range for serving different types wines so I just chose something in the same range and went from there. 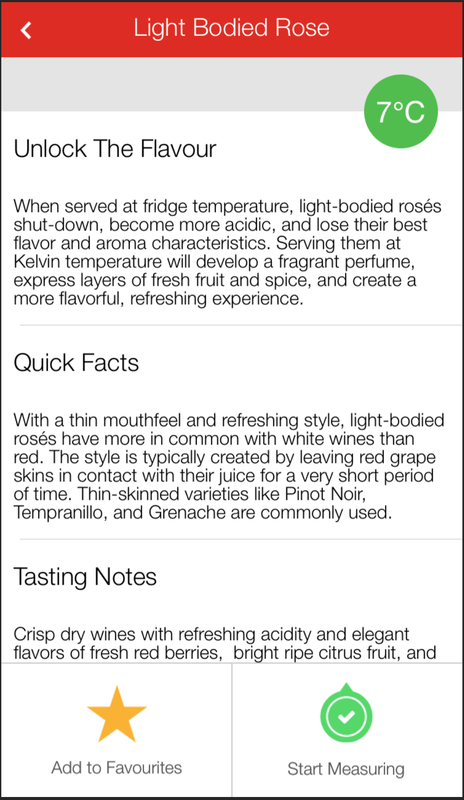 With Kelvin K2, you can keep your wines in your preferred drinking temperature. What was a disappointment was that I placed the collar on to the bottle, put the wine in the fridge and waited for the notification that pops up from the app to tell me that my wine was ready. But, it never came…. I checked on the wine and discovered that despite the wine being in the fridge for hours, the temperature was stuck at a temperature higher than I wanted my fizz to be. Was the Kelvin inaccurate? This was like an instant replay of my experience with my previous bottle thermometer. Well, that was easy to check, I got out my trusty room thermometer and left it in that section of the fridge. Kelvin was correct!!! (Thank you Kelvin) That section of my fridge was not as cold as other sections. Obviously, I needed to turn my fridge down a few degrees. Despite this false start, we did enjoy our fizz and ‘Kelvin’ became a discussion point as we watched the temperature rise on the bottle. 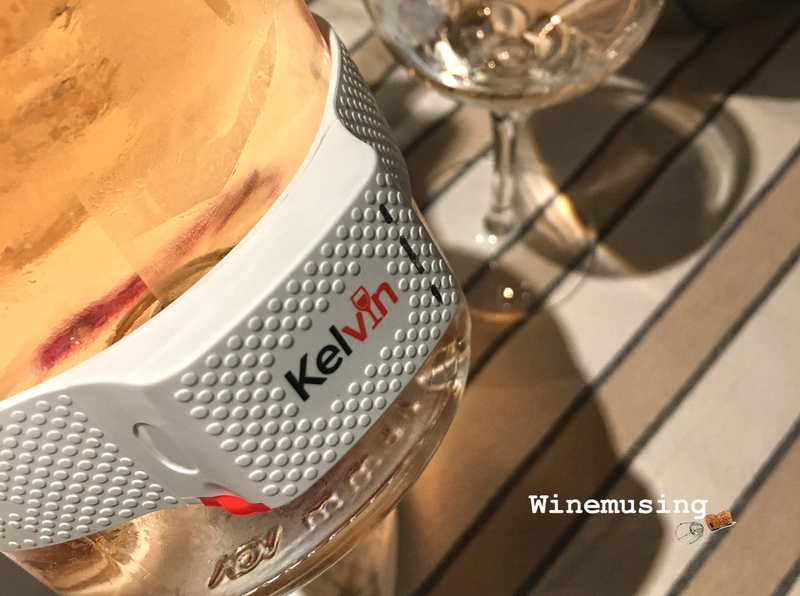 On the second night and with fridge duly adjusted, I tested my new mate ‘Kelvin’ with a bottle of Cotes du Provence Rose. This time, we had success!! I got the temperature right and the wine was drinking as it should. 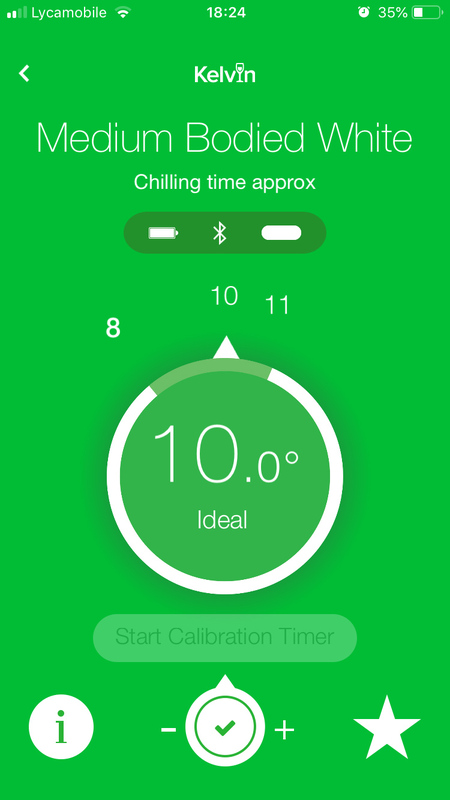 The app worked as expected with an acceptable degree of accuracy. I did then go on to use it on a red wine from my wine cupboard, which Kelvin recommended a light chilling to bring it down a degree or two. It was indeed a better wine for that fridge time. So now, that I have solved my fridge’s performance issues, I can happily share some pros & cons from my experience. You actually know the current temperature of your wine at any point in time of serving it, and you can keep the wine in that recommended temperature range. Gives some good advice on serving temperature of wines and other serving tips. Easy to use, the signal does travel through the fridge door to up to about 5 metres. The app is also easy to use. It is useful if you wish to chill a red as it will prevent you overchilling it and takes the guess work out of getting your red wine ‘in the zone’. If you are very keen on using a system such as this, you can monitor multiple bottles at once. There is a certain amount of modification that you can make to suit your personal preferences for serving temperatures for your favourites. After all, everyone is unique and you might find that you like to keep your white wines tight and crisp and therefore would prefer your wines on the more chilled side. The app gives you not only a guide to which serving temperature is best for your wine, but there is also some interesting notes, food pairing recommendations, glassware recommendations and other useful information. More limited wine selection eg. No champagne, port, sherry or dessert wine option. There is no option for choosing a mature aged white which may be served cool and not as chilled as its young and zippy counterpart. Kelvin K2 takes at least 5 minutes to get to an accurate temperature reading if you are changing from room temperature to fridge temperature or vice versa. This means you need to be well planned if you have a group of thirsty wine drinkers headed your way. If your fridge is not actually cold enough, you might have trouble with using this device with white wines that are better served well chilled as it is only splash resistant and not to be plunged into a water and ice solution in a bucket nor used in a freezer. Who is this gadget going to be most useful for: Anyone who is keen to be more accurate about the serving temperatures for their wines and wants a real time temperature monitoring system. It is useful for keeping track of the temperature of your wine while it being served so that you can keep your wines in that ‘best drinking’ temperature range. And of course, those drinkers who love their wine gadgetry. You know who you are!!!!! source: This gadget was sent to me for review, any opinions expressed are my own unless stated.